It is said that a picture is worth a thousand words. Translated into this Twitter world we now live in, that’s like, thousands of characters. 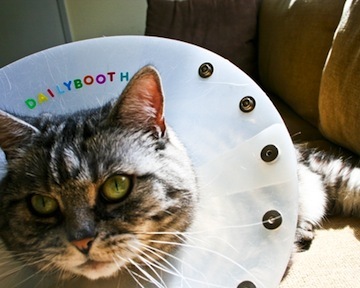 Thousands easily beats 140, so the people constantly complaining about Twitter’s brevity need to check out DailyBooth. What is it? It’s a Twitter-like quick message service, only the main form of communication is pictures. You can send pictures of anything you want, though most users tend to send images of themselves, photo booth-style, and attach messages to them. The result is a crazy amount of interaction in the community. And interestingly enough, unlike Twitter, it seems to be a hotbed for teenage activity. While there have been no shortage of startups that have launched picture services for Twitter, the Y Combinator-backed DailyBooth is a little different in that it tries to stand on its own by emphasizing its own social stream (though there is Twitter tie-in as well). In that regard it’s more like Radar than TwitPic or some of the other standard Twitter photo services. But Radar places an emphasis on cameraphone pictures, as I said, DailyBooth seems to be populated more by photos of people taking pictures of themselves, sitting at their computers. Though you can upload pictures from a mobile device as well. And DailyBooth’s growth has been pretty amazing. 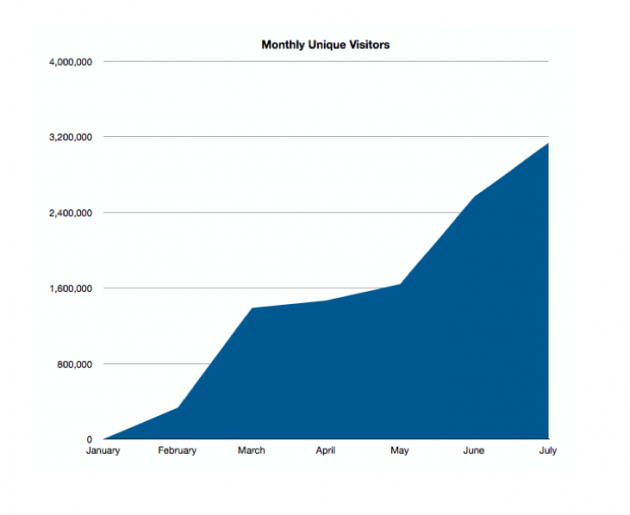 As you can see in the chart below, since its launch in January, DailyBooth has grown to over 3 million unique visitors a month. And they have a growth rate now of about 35% a month, which means they should easily hit 4 million uniques this month, founder Jon Wheatley tells us. One reason for this growth has to be the active community. I uploaded one picture last night around 2 AM, just my standard profile icon, and it almost immediately got 8 comments even though no one was explicitly following me. This morning, my inbox was bombarded by notifications from DailyBooth, new pictures notifications, new follower notifications, recent activity on my pictures, etc. Sure, that was a little annoying (you can change the email alerts in your settings), but also nice to see such a new community with that kind of activity. 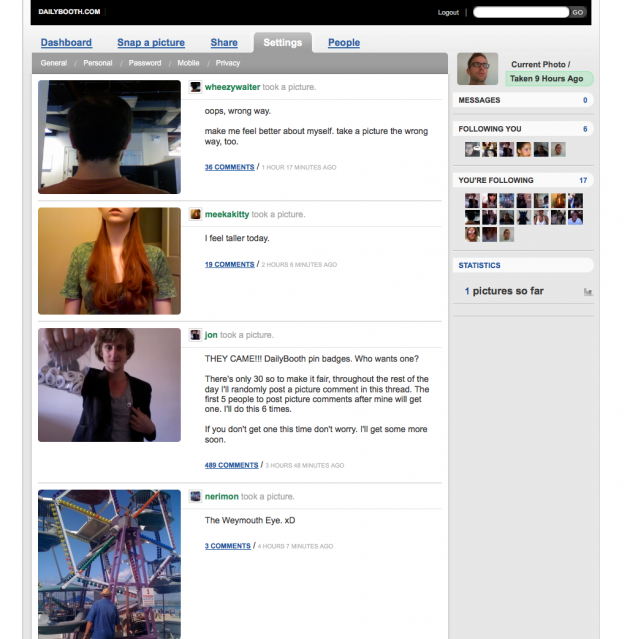 Y Combinator’s Paul Graham says that at one point they had considered a name change for DailyBooth, but then realized just how engaged the community already was with the service (the picture at the top is just one example), and that a name change may have caused a revolt. The service recently added a bunch of new features including the ability to send DailyBooth images to many of the major social networks. And you can automatically set your latest DailyBooth picture to be your MySpace or Facebook profile picture. I often find myself clicking on pictures posted to Twitter even if I don’t really know the person. And one of the main features I’ve liked of FriendFeed and now newer services like Brizzly is that they put pictures sent to Twitter inline, so you don’t have to click anywhere to see them. DailyBooth takes that one step farther and makes it all about the pictures. And it does so in a simpler and more social atmosphere than a site like Flickr. The results seem to speak for themselves in their growth.